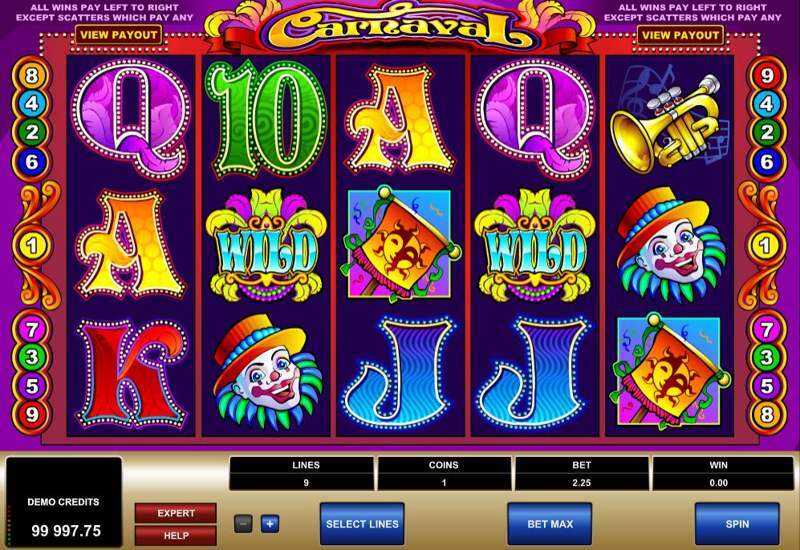 Carnaval is one of the more vibrant themes in the Microgaming slots portfolio. Based all around the carnival ethos, Carnaval really does give you a feel of being in Rio de Janeiro when Mardi Gras is taking place. Everything from the bustling soundtrack to the colourful animations really adds to the overall atmosphere. The slot incorporates Microgaming’s 5 reel, 9 payline option, which straight away says to us that the slot is going to be a tad basic. After a little more research this was confirmed, but that’s not to say it doesn’t have its place in this ever increasing market. The slot does include both wilds and scatters, plus multipliers to make it that little bit more appealing. The theme of the slot is going to be very niche in our opinion. It’s probably going to be one of those that you either love or hate. It’s brash, colourful, a little in your face and a little camp, but those aspects will always appeal to someone. It’s been designed to be an entry level game in terms of what’s on offer. There aren’t any fancy bonus games or free spins round and to be honest, we think that this massively lets the slot down. The wild symbol works pretty basically in that it will substitute itself in to make as many winning paylines as possible. It will substitute all symbols apart from your scatter. 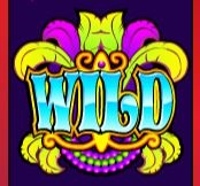 The wild symbol is pretty easy to pick out as it’s the one with ‘WILD’ written in a massive blue font. 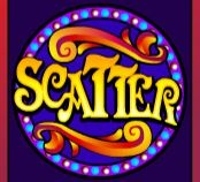 The scatter wins will add additional winnings to paylines. Again, you won’t be able to miss it when it lands since it says ‘Scatter’ in huge letter and will also start flashing to grab your attention. The more you get the higher your win is multiplied.